Learning How to Dance in the Rain ....: Radiotherapy on the horizon !! Okay so I know I've said it before - but today I would quite like to exchange my rollarcoaster ticket for a different ride altogether!! I had my appointment with the oncologist this morning and will be on my way shortly to see the radiooncologist to discuss my radiotherapy! It is always very confronting doing the hospital visits - just brings back home the fight you are in!! Mum came with me this morning which was wonderful and b will meet me at the next appointment this afternoon. To be honest I just feel like curling into bed and giving it all a miss. It is funny how your feelings sneak up and get you - i should be feeling really happy that Thursday will be the last chemo and yet my mind is full of what comes after that!! Sadly chemo is only part of this treatment road. Today the oncologist discussed what happens after radiotherapy - beginning on the tablet i will take for 5 years , continuing with the Herceptin etc!! I was asked how my bones and teeth were as the tablet can weaken both and then I could end up with oesteonecrosis of the jaw. woopdeedoo!!! I was advised to go the dentist and have any work done before starting the treatment - so somewhere inbetween 35 doses of radiotherapy I now need an overhaul from the dentist!! Sadly my teeth have never been very strong and those of you who know me - know how much I love the dentist!!! NOT !!!! He also referred me to cardiac investigations for another echo to check the herceptin isn't having any negative effects on my heart! So this rollercoaster continues - the twists and turns unpredictable as ever!! Overall I manage to remain positive but there are days when you would just love to wake up and look in the mirror and not see a bald person looking back at you. I know that after this chemo in a few months hopefully my hair will have returned ! I also know that no hair is a small price to pay for no cancer and yet some days it would be nice not to have to rationalise that way! It is such a treat having my mum here - I am so glad she was able to come - there is still a road ahead. I am thankful that I have the pathology I have don't get me wrong - I know there are many women fighting a greater battle than I am !! Well quite a few hours have passed since I started this blog - I have just returned from a lovely bite to eat with my husband. actually prior to that we had an appointment to discuss the radiation side of things. b and I sat before the appointment talking about how unreal this all was. 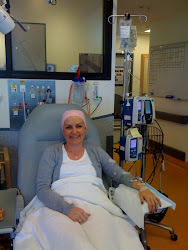 Funny thing is that having chemo has become such a normal part of our lives that as bizarre as it sounds you can almost put aside why you are having it as your energy is focussed on just getting through it. Today has brought back the reality of what we are dealing with. We had a good chat re radiation treatment - and it looks like it is all systems go. I heard how I will most likely burn and blister - have to have permanent tatoos to mark the radiation field, how my lung tissue will be affected and so on. 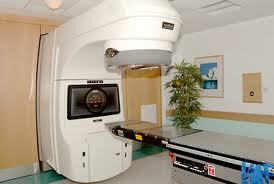 I do however have faith in the radiooncologist that we saw and am entrusting my radiotherapy to him now. It will all start at the beginning of September - just need a few weeks to get over the chemo and we are onto the next chapter!! I felt quite teary on leaving the radio oncologist - no particular reason - just another part of this journey. B had to return to work but it wouldn't be long until he was finishing so we opted to meet up for a cuppa when he was finished. I headed to the local shopping mall to lift my spirits with some retail therapy while I waited. The girls were at home with my mum - so I called to let them know of our plans and my lovely mum said don't rush back why dont you have a bite to eat as well! I can't remember the last time b and I had a date by ourselves so this was a treat. We went to the local surf club and had dinner and a glass of bubbly - I was still feeling shattered so we didnt stay long and it was a very early meal but nevertheless was a great way to end what had been a pretty wearing day!! We watched the sun go down over the sea and it was wonderful. So now I am in my bed ready to conk out - I have my tablets next to the bed to remind me to take them tomorrow. My pre chemo regime begins !! Off to have bloods taken tomorrow and I will be set for Thursday! I must just say that when I went to the shops to wait for B a lovely friend from overseas sent me a text message!! To receive this message when it came through was amazing ! It said "Hi read this and thought of you - My presence will go with you overshadowing you , giving you strength in your weakness, being all that you ask of me, carrying you . Just felt to send this to you to encourage you "
This dear friend did not know just how I was feeling at that time and to receive that text was such an encouragement! !